Facepalm: Fallout 76 has certainly not lived up to expectations. Some would argue that it is struggling to live up to even lowered expectations. On top of all the complaints of bugs, a dated engine, boring gameplay, and poor PvP implementation, last week Bethesda pulled a switcheroo with players who had purchased the very expensive $200 Power Armor edition. 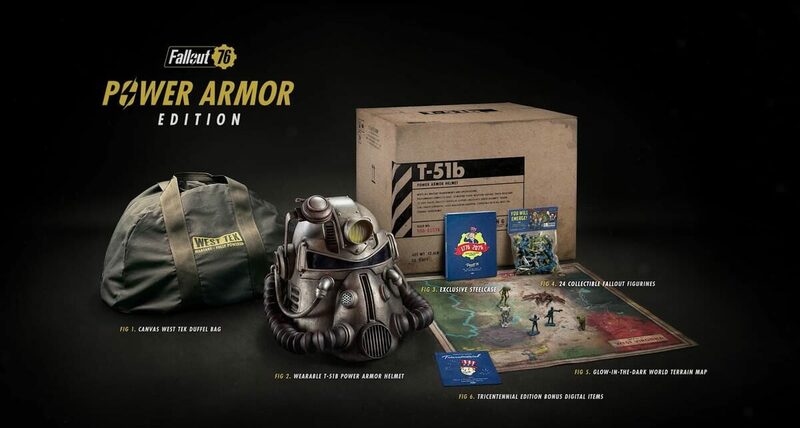 This collector’s version included the game and other trinkets, but the highlight of the pricy bundle was a replica power armor helmet accompanied by what was pictured and described as a “canvas West Tek duffel bag” in the promotional material [emphasis added]. Both very cool items that definitely made up for the high price. However, what purchasers received was not what they expected. Instead of the sturdy, good-looking canvas bag (seen above), the bundle came with a cheap, easily wrinkled nylon duffel (pictured below). Not content with just having a PR faux pas on their hands, Bethesda decided to turn it into a full-on PR nightmare. The company then quietly changed the wording on the product page to indicate that the bag would be nylon but leaving the beautiful canvas accessory in the image. They also offered buyers 500 Atoms ($5 worth of in-game currency) to hopefully appease the angry crowd. This did little to quell the backlash on Reddit. On the contrary, players were even more incensed at such an insulting offer in an attempt to backtrack on its false advertising. Only a few days and a few thousand tongue lashings later, Bethesda caved. Threats of a potential "deceptive trade practices" lawsuit might have had something to do with it as well. On Monday the studio tweeted that it would be replacing the nylon bags that had already been purchased with real canvas versions. If you were unfortunate enough to have been ripped off with the cheap nylon knockoff, you need to submit a ticket with Bethesda Support by January 31, 2019. The canvas bags are not ready yet, but the company says it is working on a manufacturing plan and will ship them as soon as they are made.